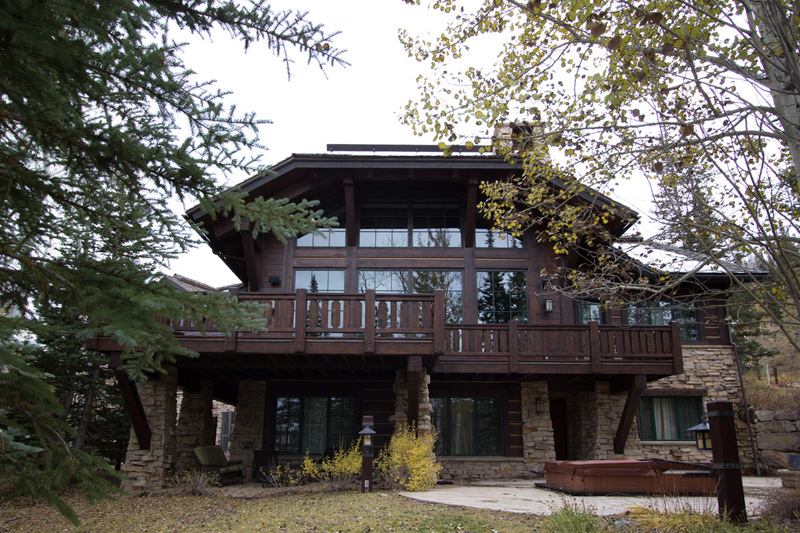 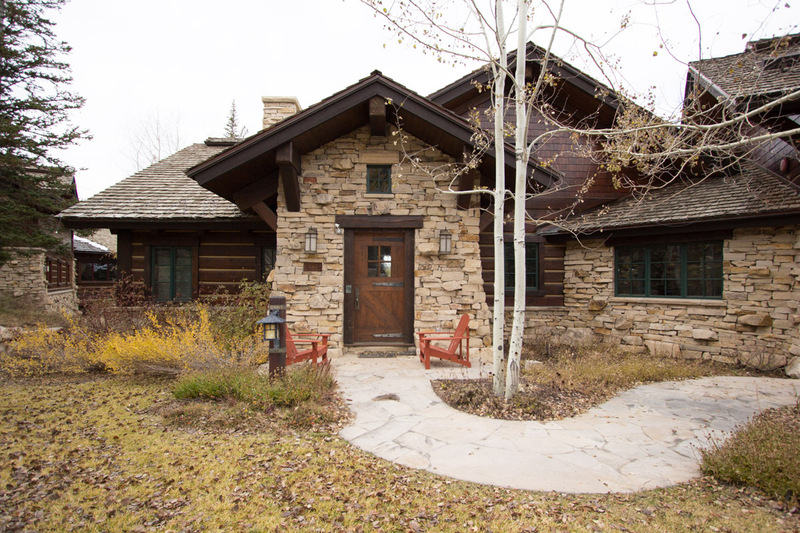 This mid-mountain private home offers total privacy and mountain views right on the slopes of Deer Valley Resort. 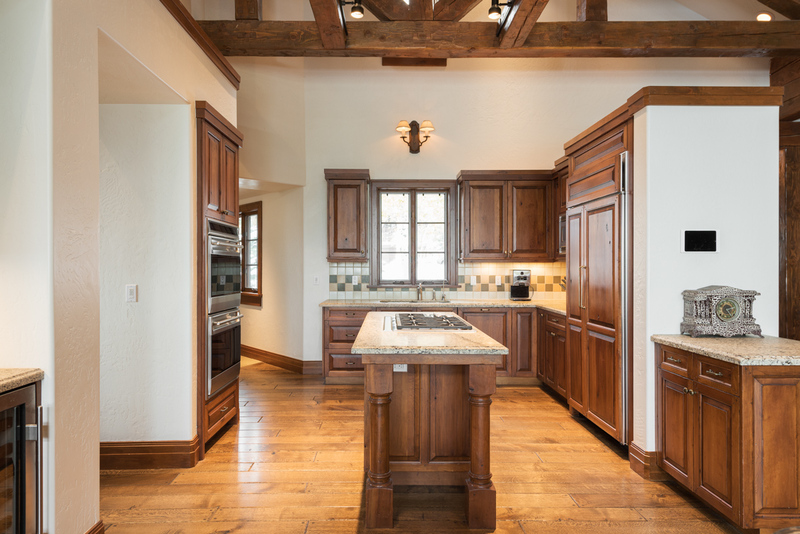 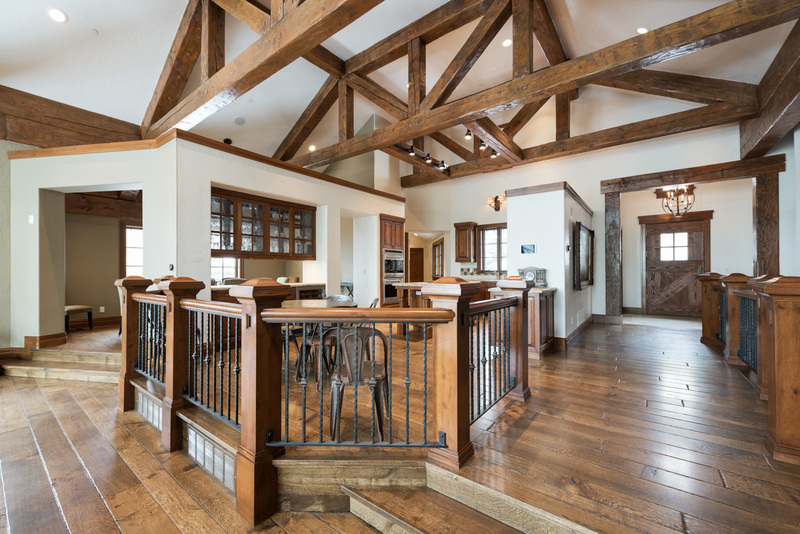 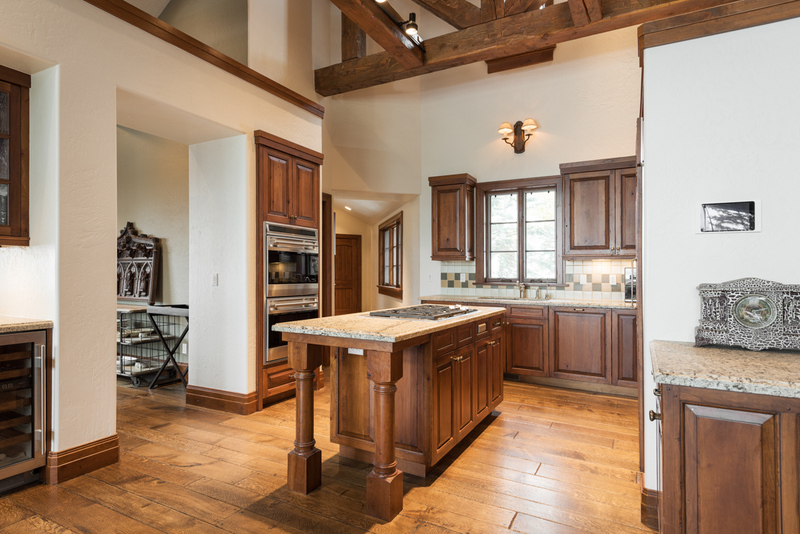 Styled with mountain modern decor, Blue Bell Villa features hardwood floors and beams, ornate cabinets and antique accents. 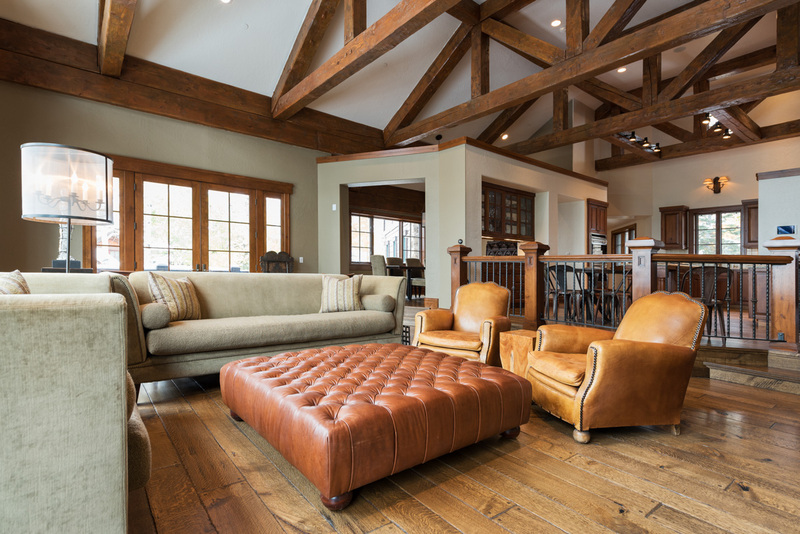 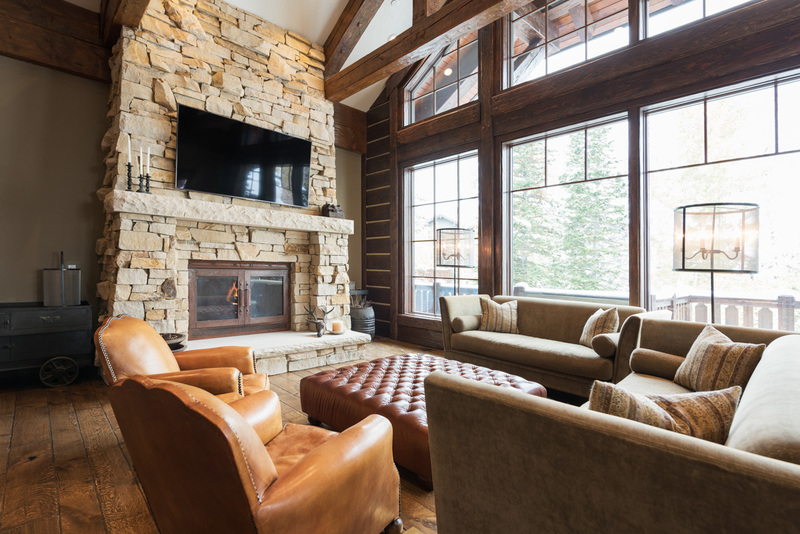 The living area overlooks the slopes of Deer Valley Resort from a large picture window, enjoyed from an elegant full-length sofa set and twin leather armchairs framing a red leather, ottoman-style coffee table. 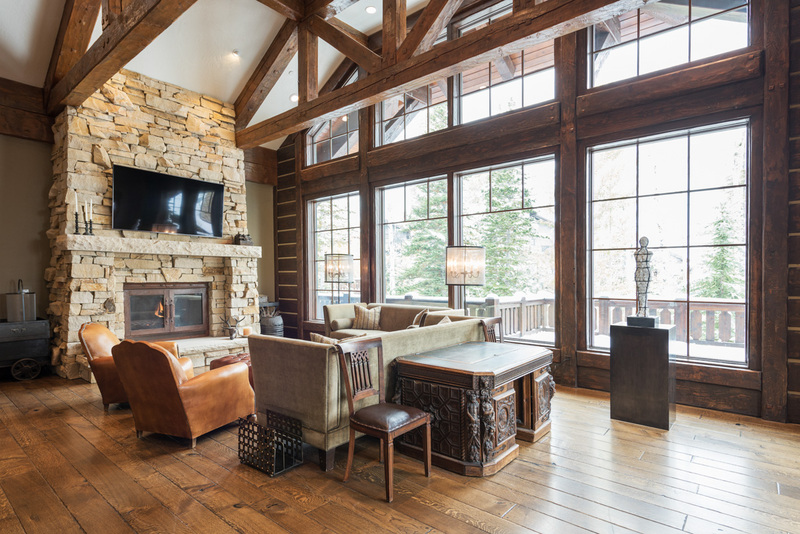 A flat-screen TV hangs above an impressive stone fireplace, complemented by a Sonos surround-sound system. 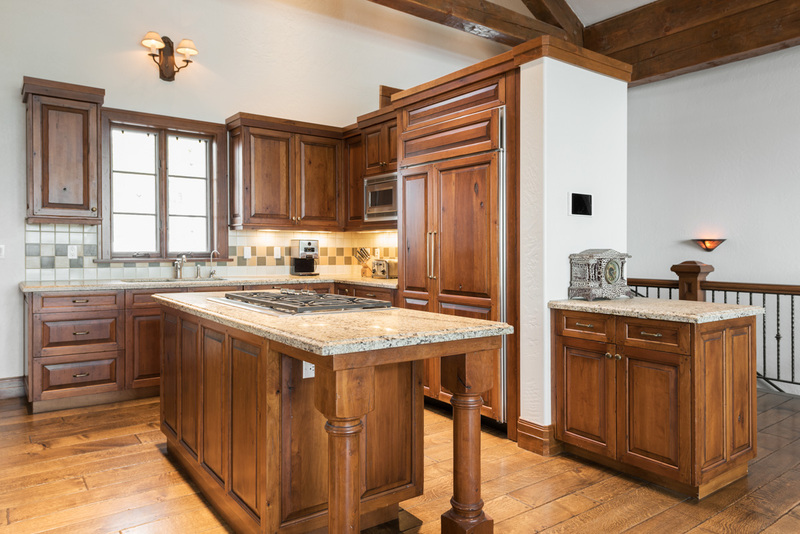 Just beside the living area, a spacious gourmet kitchen with stainless steel appliances provides plenty of room for more than one chef with a granite island and ample counter space. 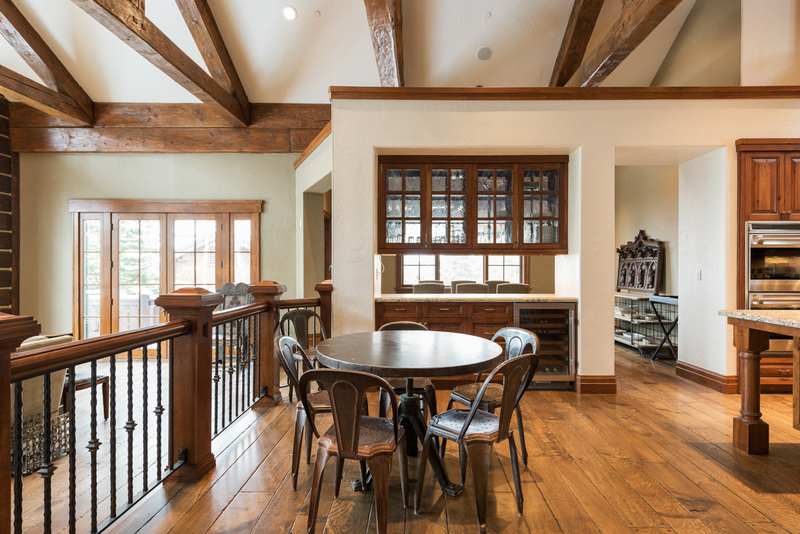 A four-seat breakfast nook offers a relaxing place to socialize with the cook or enjoy morning coffee. 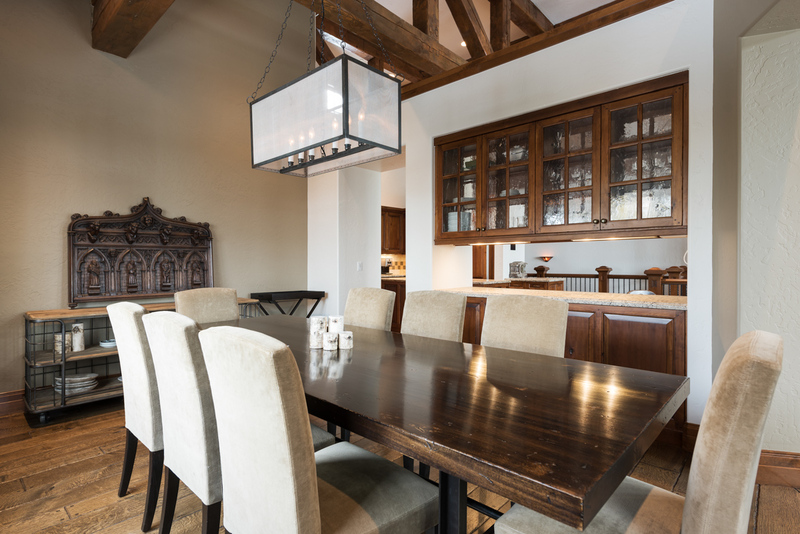 A formal, eight-seat dining table allows for elegant dinners at home, whether home-cooked or prepared by a private chef. 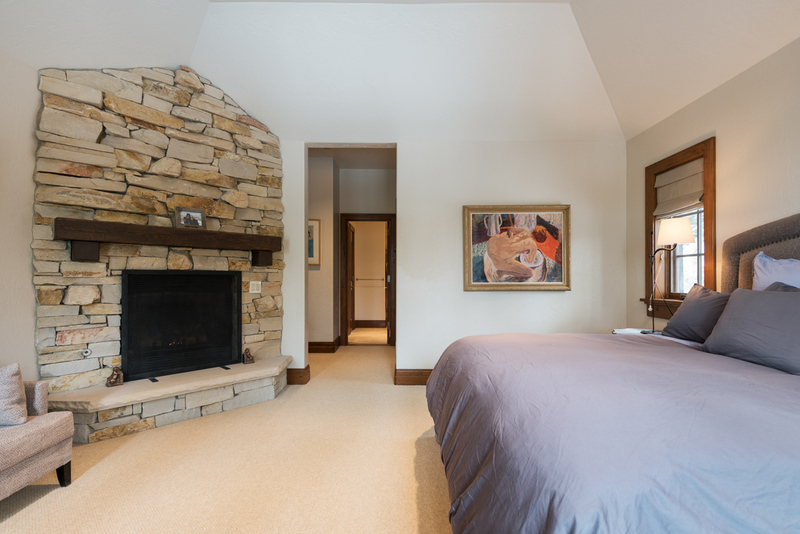 With 5 bedrooms across three floors, this 4,700 square-foot home is ideal for multiple families. 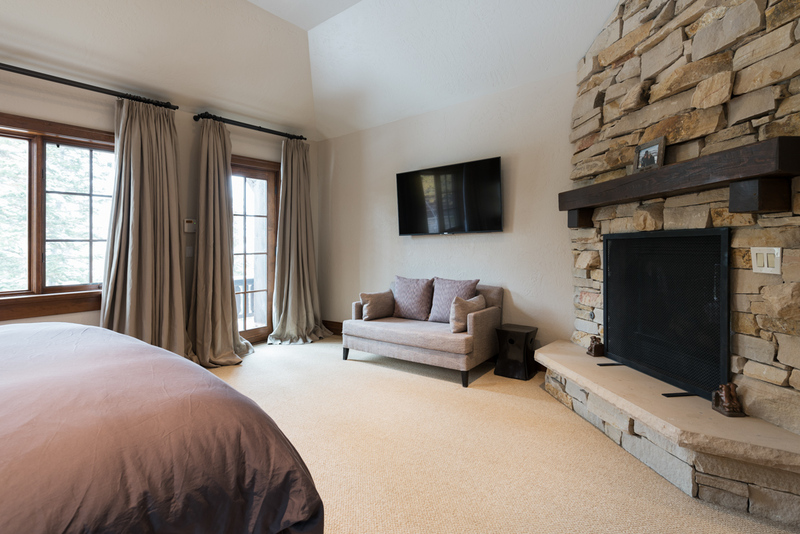 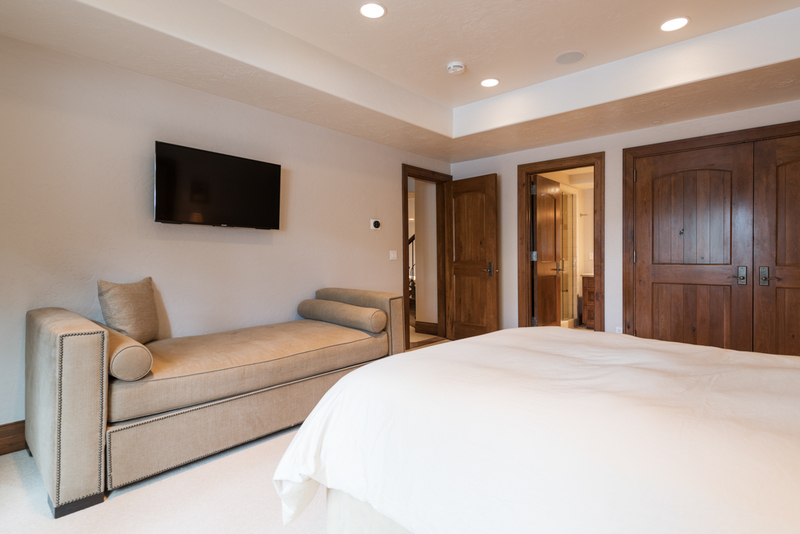 The first master bedroom, located on the main level, features a California king bed, flat-screen TV, sliding glass door to the home’s wrap-around balcony, a stone fireplace and elegant loveseat. 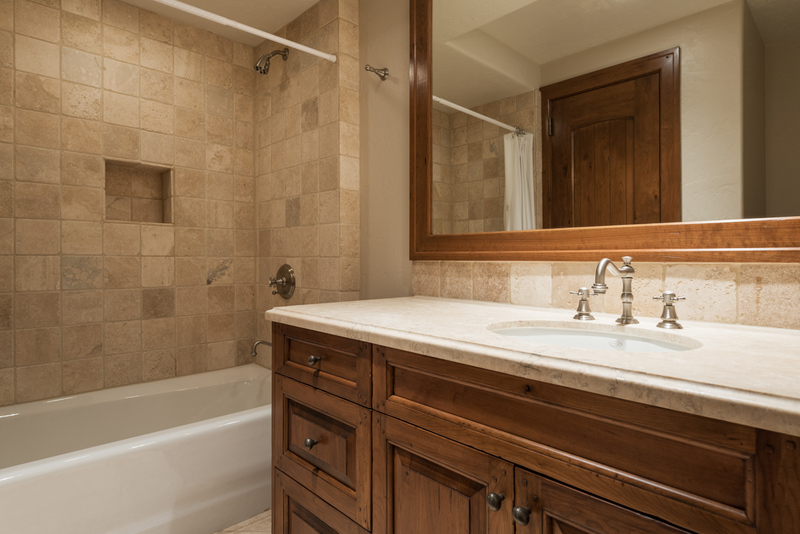 This room also has a full en-suite bath with dual sinks and a luxurious soaking tub. 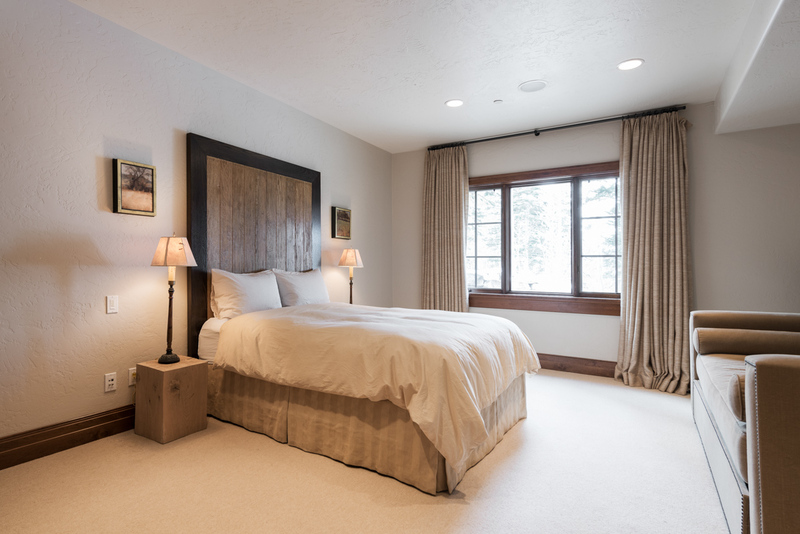 The guest master, located on the top floor, features high ceilings, a king-sized bed, flat-screen TV and sitting area with two full-sized sofas. 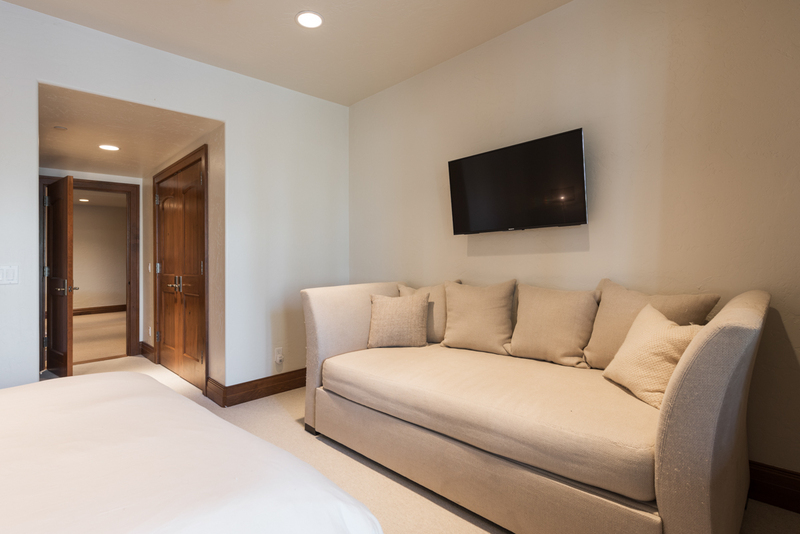 The third and fourth bedrooms, located on the bottom floor, have queen-sized beds, flat-screen TVs and full-length sofas. 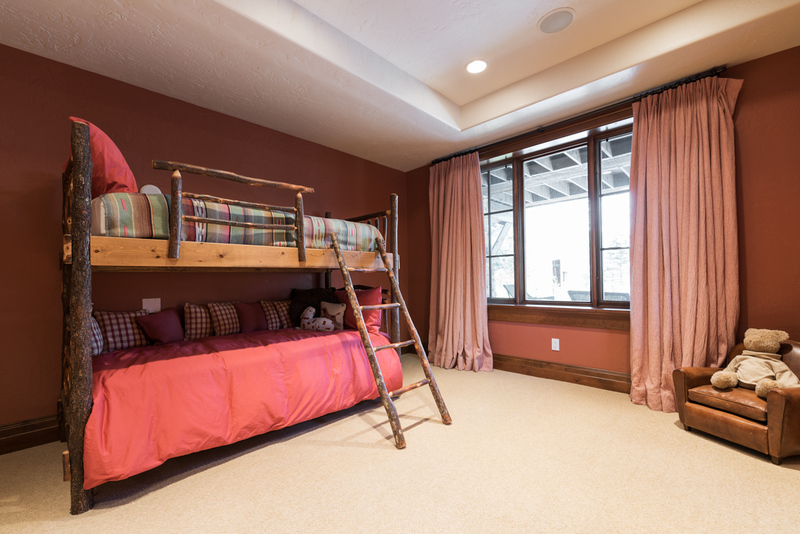 The fifth bedroom, also located on the bottom floor, has a twin-over-twin bunk bed and kid-sized leather armchair. 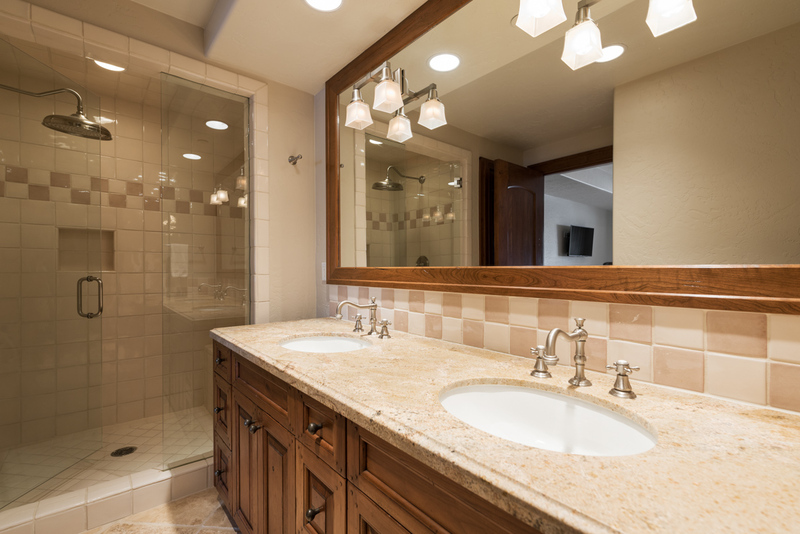 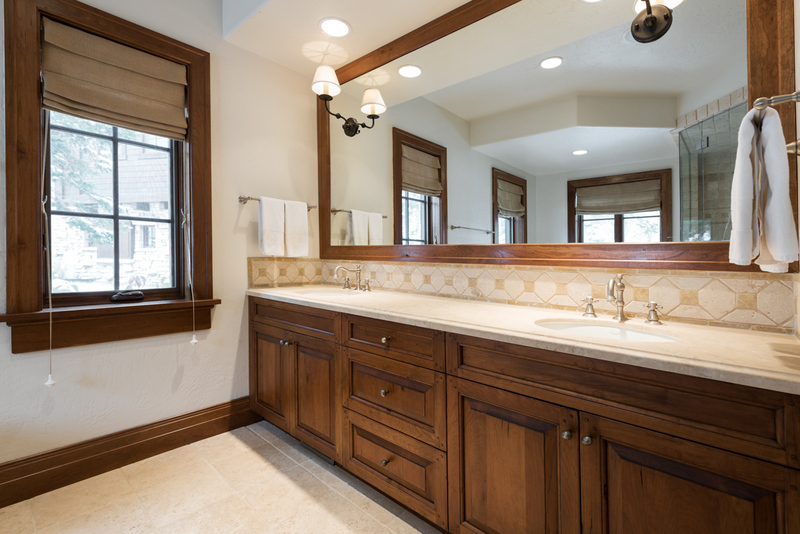 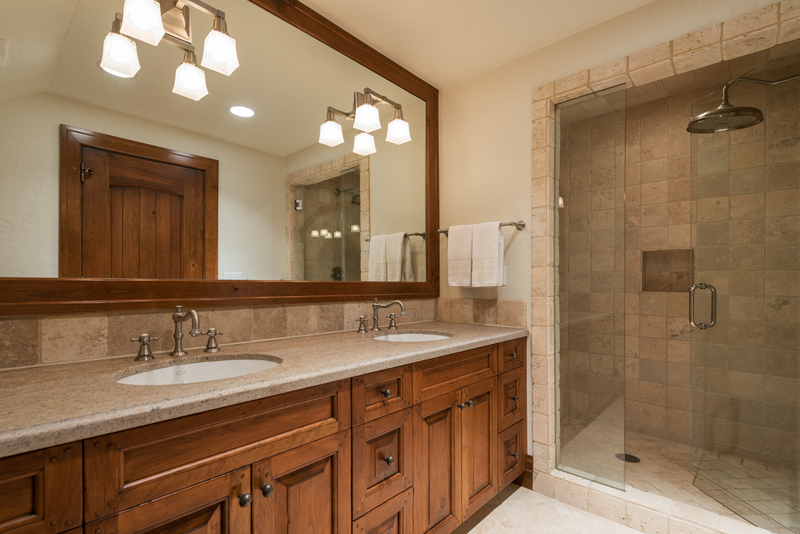 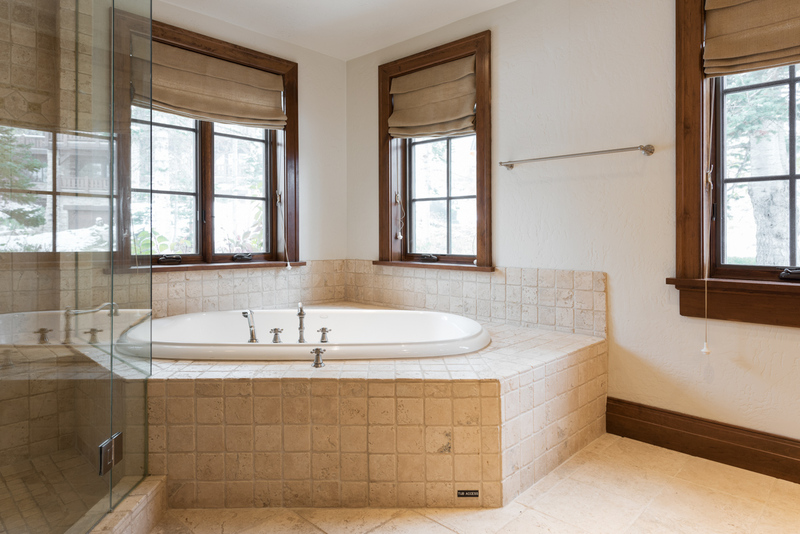 All bedrooms have en-suite baths. 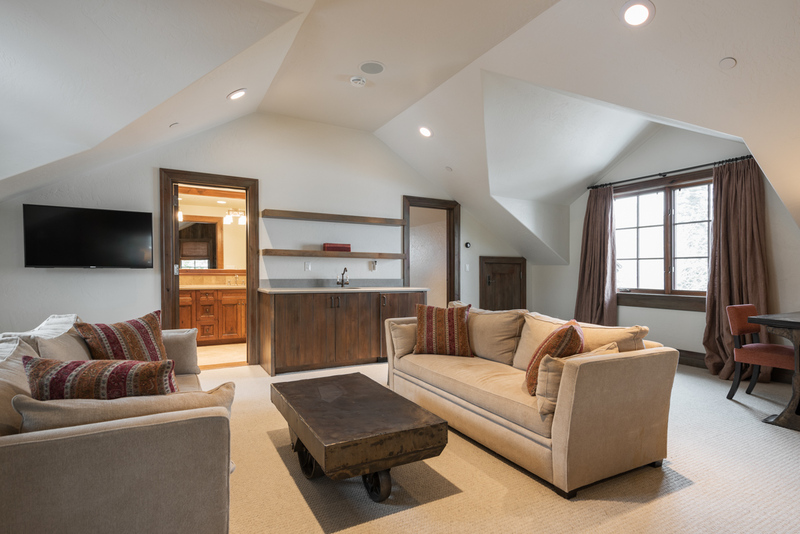 The bottom level also has a family room with wrap-around sofa, gas fireplace and large-screen TV, and a private hot tub located just outside the door. 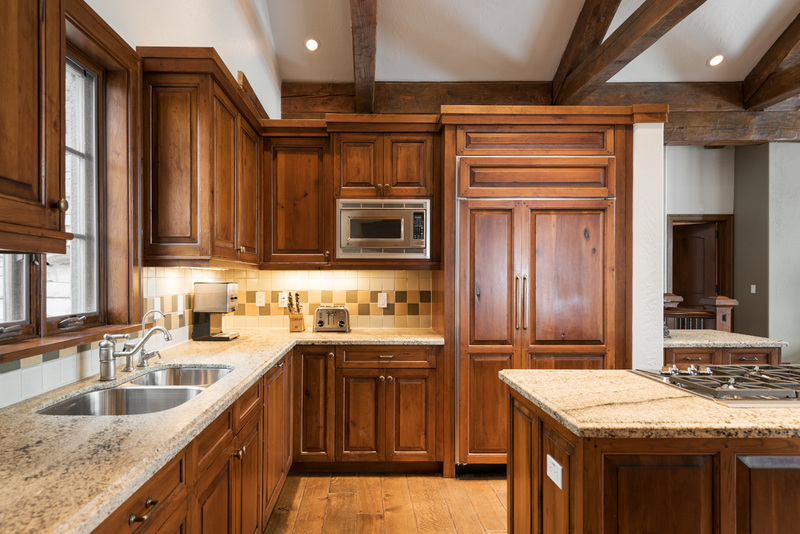 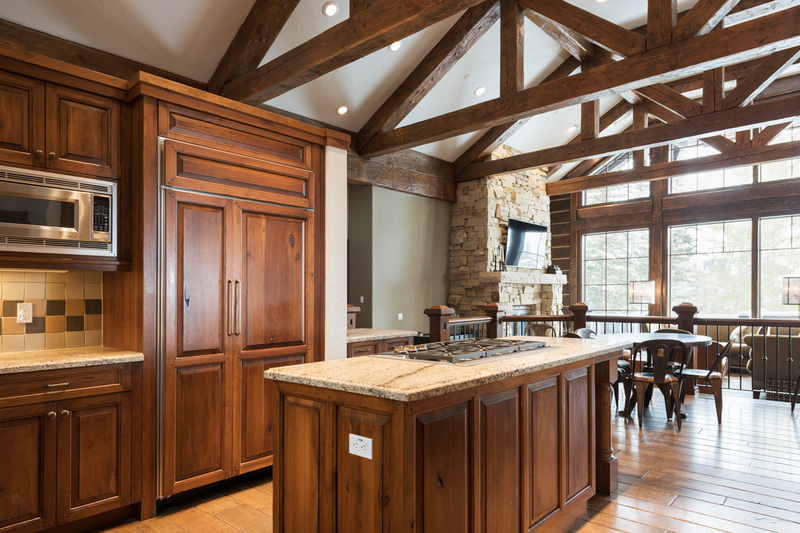 A main-level wet bar, ski storage area and washer & dryer add convenience to the comfort and privacy of this slopeside home. 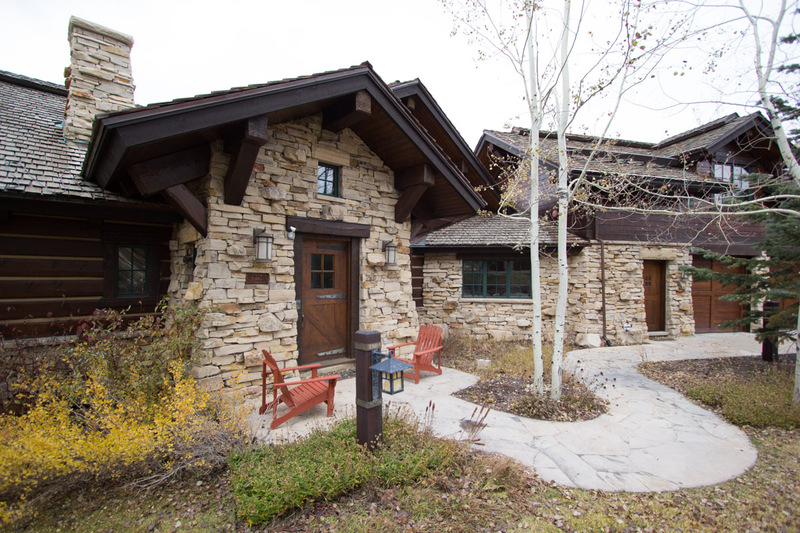 Complimentary Dial-A-Ride shuttle service makes it easy to enjoy the lively restaurants, boutiques and entertainment on Main Street during the winter season, located a 10-minute scenic drive away. 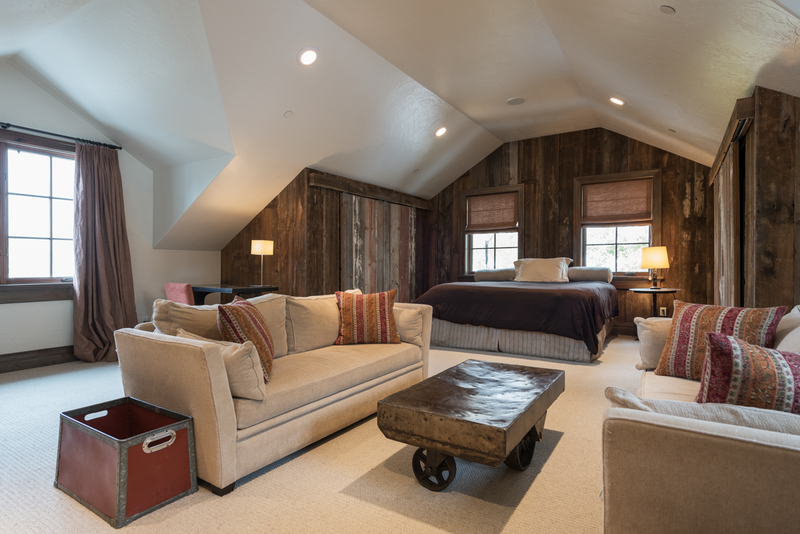 In the summer, take advantage of your private garage to explore Park City’s surrounding areas, from bowling and movie theaters at the family-friendly Kimball Junction to hiking and biking trails off Guardsman Pass. 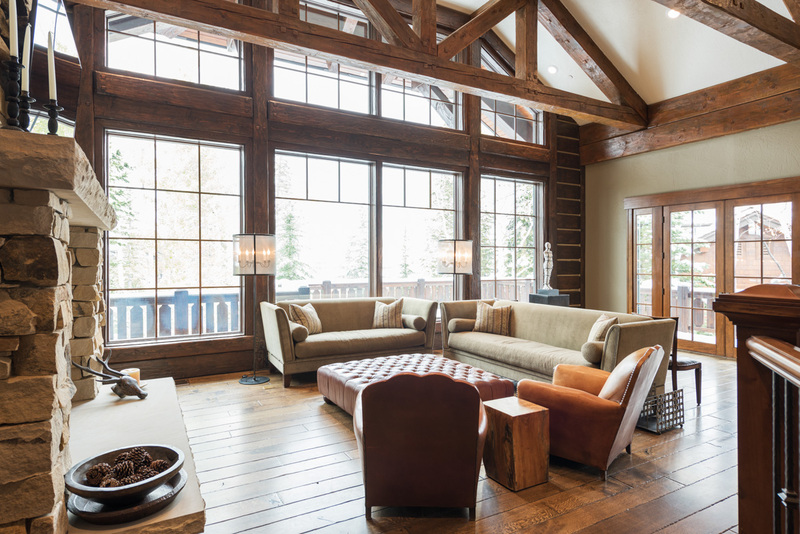 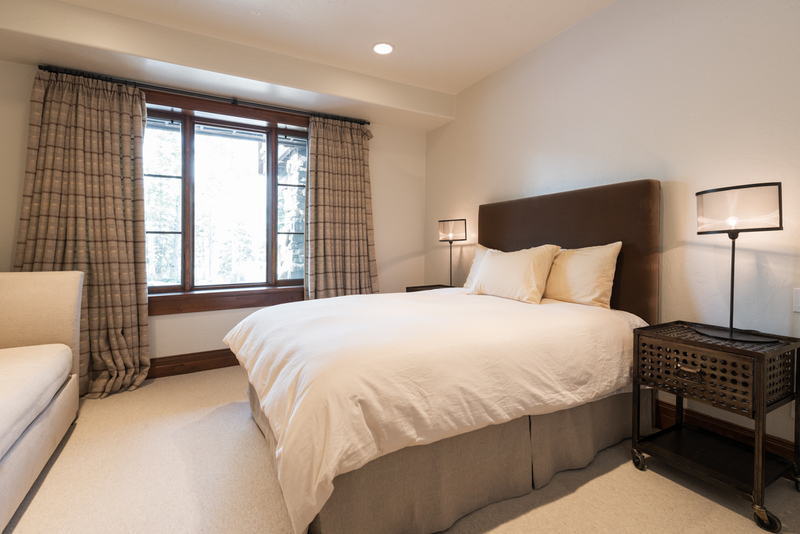 Whether you visit Park City for the corduroy slopes, aspen-lined trails or world-class live music and entertainment, this private mountain home is an ideal escape close to all the action with total privacy.